Energy Matters is committed to seeing Australia being powered by the sun. For this to occur, we provide quality solar equipment that must be affordable, of the best quality and easily accessed by home-owners, schools, community organisations and businesses. This is why we only sell and install the best modules, inverters, batteries and other products from the world’s leading solar brands. As one of the first dedicated solar energy solution providers in Australia, we have more than a decade of experience installing every solar product under the sun. So you know you are receiving quality when you buy wholesale from Energy Matters. Energy Matters only supplies equipment that has been tried and tested for Australia’s harsh conditions and able to function through the extreme range of temperatures Australia experiences. So no matter where you live, we can perform a solar panel installation that will suit you and the conditions you live in. A minimum 10 year product warranty and 25 year performance guarantee accompanies all our grid connect solar panels. However, with so many manufacturers popping up and sometimes disappearing, the length of a warranty can also be misleading. A 25 year warranty is only good if the manufacturer is around for 25 years. Energy Matters only works with reputable companies. In fact, all of the companies who supply us with solar panels list themselves on stock exchanges around the world. Like us, they are here for the long haul. When you buy from us, you can rest assured the components and installation workmanship will be first class. The final installation will be serving you well for many years. We also service all our own warranties via our dedicated warranty department. 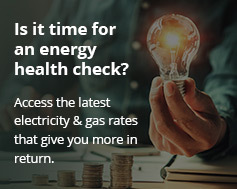 View more reasons why you should choose Energy Matters. We welcome any questions you may have – contact us via our online contact form. You can also view our specials here or get an quick quote here.